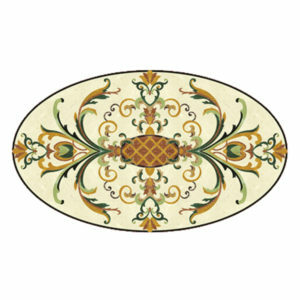 C018 – Circular Waterjet Medallion Mosaic by Monarchy Medallions. 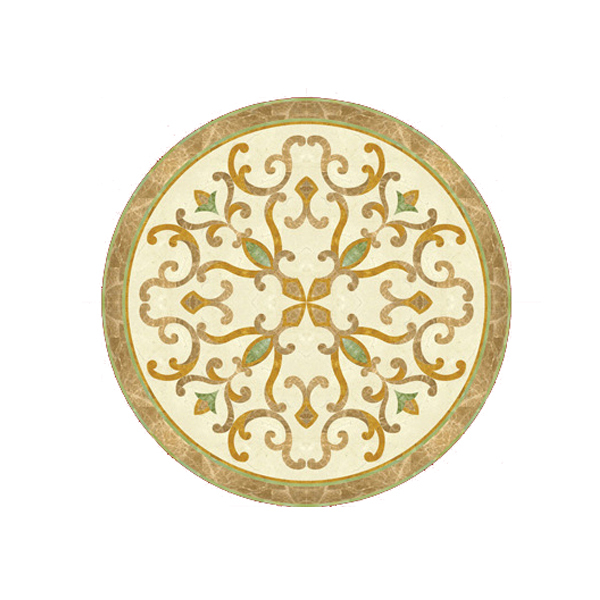 The mixture of soft colours and a carefully selected design have created a splendid water-jet medallion. 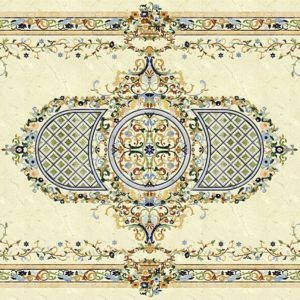 The way in which the elements blend together creating a harmonious picture, denotes craftsmanship and talent. 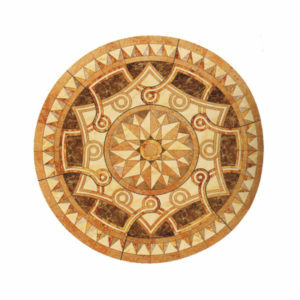 The cross figure in the centre of the mosaic is four sided by beautifully curved elements creating such harmony. 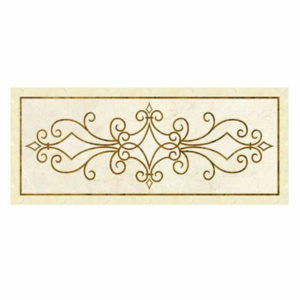 The golden external ring completes a perfect work of art that is just perfect to decorate your floors with it.